Veteran director Ken Loach makes a subdued return to rural Ireland with period drama Jimmy’s Hall. After ten years exiled in America, communist leader Jimmy Gralton (Barry Ward) returns to his homeland to lead a quiet life, but when he’s coaxed into re-opening the community hall by the local community he quickly reignites the displeasure of the church. 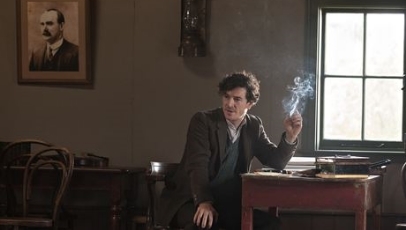 Penned by Loach’s regular screenwriter Paul Laverty, Jimmy’s Hall is a visually sumptuous, yet wishy-washy affair that barely scratches the surface in its depiction of poverty-stricken 1930s Ireland. There are decent performances across the board and a warm relationship between Gralton and childhood sweetheart Oonagh (Simone Kirby) is kept ticking along throughout. The main drawback is that none of the characters – or the narrative itself, for that matter – ever spark true interest or empathy. It’s by no means Loach’s worst, but it’s far from his best.